This is my quick guide to online shopping at the Austria version of the eBay site from Vienna and elsewhere in the country — now available in English language! 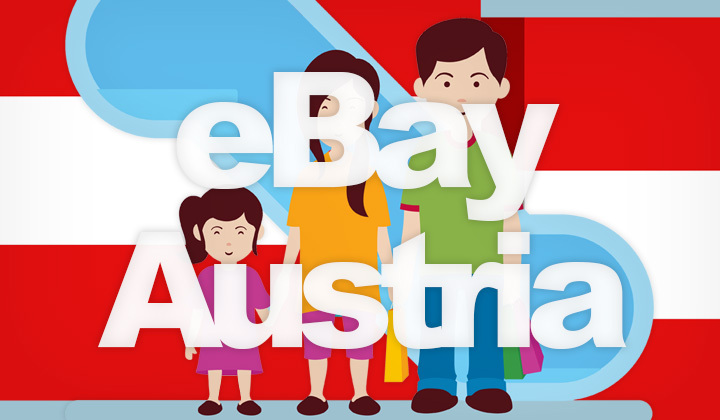 Or looking for global eBay shopping in Austria? — click here! There are a few popular methods for online shopping and auctioning on the eBay store in Austria, all with the convenience of English language. You can use the global, English version of eBay to access items from sellers all over the world for competitive rates, and even competitive shipping costs. But that’s not all, you can also use the website for shopping amongst sellers and items that are located in Vienna and elsewhere in Austria, or nearby in Europe for import duty free shopping and fast shipping. Just follow the simple steps below. Step 1. Open this link for the advanced search on eBay. Step 2. Go down on that page, until you see the “Location” settings. Step 4. In the “Located in” drop-down menu, choose “Austria”. Step 5. All future searches will be narrowed down to selected location. Please note, you can find the advanced search page by clicking on “Advanced” right next to the Search button at the top of each page. Also, you can select other nearby countries to search from too, like Germany, Italy, United Kingdom (UK), France, Netherlands, and so on. Step 2. Search for an item as you would do normally. Step 3. Use the location selection on the left side to narrow down your search to the Europe region (other country regions are also available). Please note, this feature is not available on the German language eBay.at version. One of the reasons why the global eBay is still very popular in Vienna, etc. For local shopping only, depending on the type of item you are looking for, the eBay.at site version sometimes has better availability. While most sellers in Austria sell globally, and therefore can be easily found from eBay.com, some are not. Therefore, it’s always worthwhile to check out the eBay.at version, however the problem is that it’s only available in German language. The easiest way to bypass this is to live translate the website to English as you browse, this is especially convenient for things like registration, login, and other website features. To convert eBay.at to English, I recommend using Google Chrome which is a modern web browser that has the feature built in. This will not work if the operating system (Windows, Mac, etc.) is in German. But if a website is in a foreign language, Chrome will ask to translate the pages to English or the language of your choice as soon as you enter the site. But the remaining problem, is that product descriptions cannot be automatically translated for technical reasons. You’ll probably need to do copy/paste the text to Google Translate or other online translation tool. And that should cover all the basics! Any questions about online shopping on eBay in Austria? Or problems browsing the site in English? Tell me in the comments! And worth further noting that to support the blog and work that it requires, some of these guides contain affiliate links. I’m super thankful for your voluntary participation in this, and hope that the benefit is mutual. Sincere regards, David.